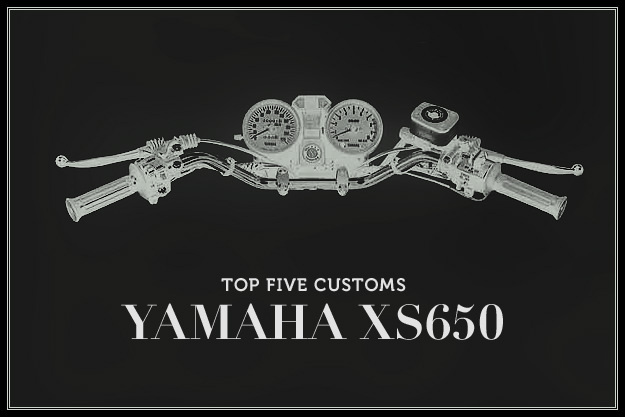 It feels like the Yamaha XS650 has been around forever, and that’s not far from the truth: it was offered in various guises from 1968 until 1985. But the air-cooled, parallel-twin engine has an even longer history—it was based on a 500cc German Horex copied by the now-defunct Hosk Motorcycles. 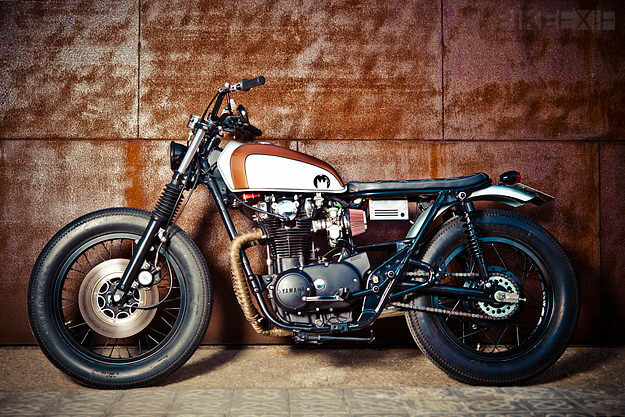 The XS was conceived as an alternative to the classic British twins, and the original XS ‘Standard’ was styled in the vein of contemporaries such as the Triumph Bonneville T120. Riders of a more relaxed persuasion could choose the cruiser-styled ‘Special,’ which had a teardrop tank and high, swept back bars. The XS was popular among racers, with Kenny Roberts piloting it to victory in the 1973 AMA National dirt track series. 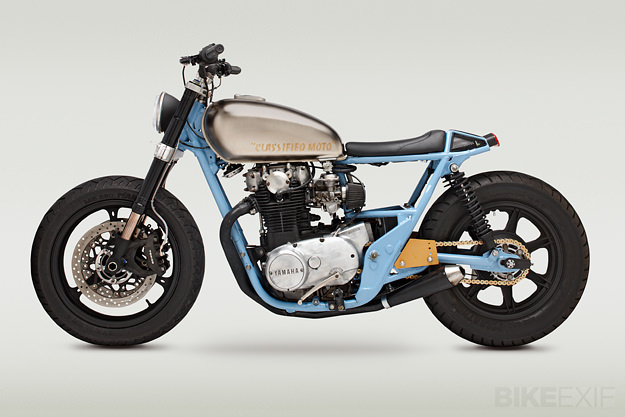 It’s since become even more popular on the custom scene, probably due to its familiar engine and natural good looks. 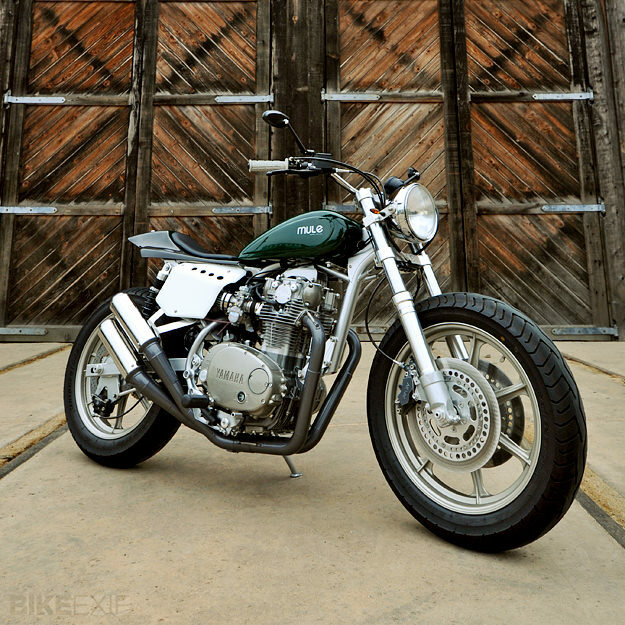 Here we’ve picked five of our favorite Yamaha XS650 customs, showcasing its versatility and potential. 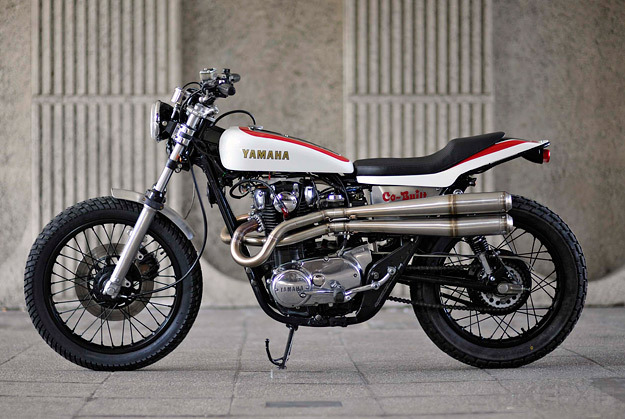 That’s our pick of the best Yamaha XS650s. What’s yours? 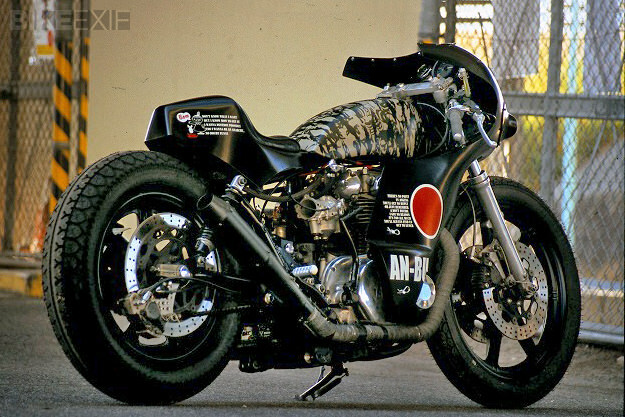 Our previous Top 5 covered the Harley Sportster.